When you are looking to go camping with your family or friends, check out these ideas for trips in CT. Pitch your tent and experience nature in the great outdoors. A great weekend getaway for your family is always at Water's Edge Campground in CT, the best place to have your most wanted camping trip. They have a variety of activities and programs to offer that suit your every need. Have a great bonding moment with your families now! You can go fishing, boating, swimming, and experience a lot of adventures. Visit the place and have the most amazing time on your camping trip because at Water's Edge Campground in CT, both you and your family are the only thing that matters. Be there! Create a wonderful experience and bond with your family on your camping trip at Holiday Recreation Center in CT. A simple get together can absolutely turn into the most amazing adventure that you certainly deserve. They can offer your family picnics and outings and challenging activities that you will surely love. Visit the campsite now and start having fun. Contact them for reservations and make sure to bring your friends with you because at Holiday Recreation Center in CT, a camping trip experience never felt so good. See you there! Start planning with your family and have the best camping trip at Renbrook Summer Adventure in CT, where you can perfectly have a great bonding time together. With the fun filled activities offered, you really don't have to worry about anything. Just relax, play, and have fun with your family and friends. You can set your adventure trips daily that usually start at 8:30 to 4 pm. Check out their calendar and get updated on their upcoming events and programs. 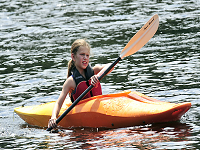 Fun and excitement on your camping trip is absolutely guaranteed at Renbrook Summer Adventure in CT.
Have the most wonderful camping trip at The Summer Place in CT and let your kids discover a lot of things that will help them grow. With the variety of fun filled activities offered, there is no room for a boring day. They have the most exciting programs that will let them learn and experience adventure while having a great time bonding with friends is such an assurance. Make sure to make reservations. You can also check their schedule for more updates on their offered activities that will give you an adventure you will surely cherish. 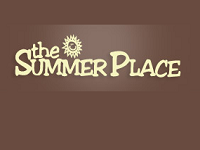 The Summer Place in CT can actually provide the best camping trip. 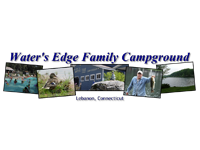 Let your family and kids be part of an amazing camping trip offered by Camp Berger in CT, a one of a kind adventure place where families will have time to create bonding moments that require nothing at all. Giving the group a chance to experience fun filled activities such as swimming, fishing, funyacking and many more, they will surely help you make a memorable time together. You can look at their calendar to get more information on activity dates so you can make the most enjoyable schedule. Be sure to register and make an appointment. 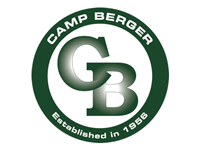 Camp Berger in CT would surely love to see you and your family have the most amazing camping trip. Join in and turn your day into one of the most memorable experiences with Girl Scouts Of Connecticut. It is the place where bonding and self-development is offered for a much better perception and love for nature, forming the best exploration that can certainly add up self-appreciation of nature. Your kids will definitely have the chance to experience horseback riding and animal care, a perfect exploration for discoveries. 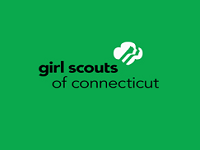 Make sure to plan your schedule and let Girl Scouts Of Connecticut be part of your wonderful camping trip. Services will be open 8:30 to 4:30 pm Monday through Thursday and 8:30 am to noon on Fridays. Be there! 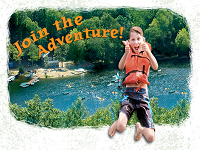 Your family deserves the best kind of adventure that only Incarnation Camp in CT can offer. The best activities and experiences are offered so you can enjoy the most unforgettable trip that you will surely never forget. Build bonds with family and friends and have the best appreciation for nature. Spend your day on one of the most amazing camping trips at Incarnation Camp in CT for they offer a variety of programs and activities that are surely very unique. Don't forget to check out their schedules and make reservations. Have fun! 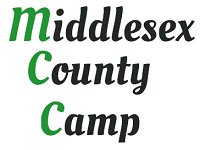 Middlesex County Camp in CT is considered one of the most visited places for camping trips where family and friends will find time to enjoy and experience the beauty of nature. With a variety of fun filled programs, you will certainly have a great time. It is a place that focuses on family entertainment, spiritual guides and social, mental and physical development. Be sure to make an appointment or check their schedules for more updates. 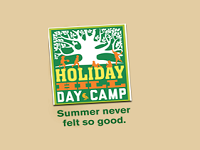 So dive into a camping trip experience at Middlesex County Camp in CT. Contact them now. Looking for a one of a kind experience on your camping trip? 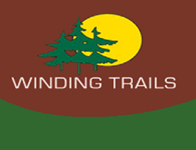 Visit Winding Trails in CT and have a great time. Your family will love their offers such as their outdoor activities, programs and events. Everything is at your convenience. This is the perfect getaway that you shouldn't miss. An adventure of a lifetime that you will never forget is guaranteed to your family. Check out their schedule and make lasting memories at Winding Trails in CT because your exciting experience counts the most. Having Problems figuring out where to spend your camping trip with your family? 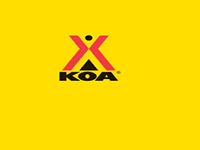 No worries for Mystic KOA in CT has the best venue for you. A whole new experience of having the best camping adventure is offered for the whole family. You can enjoy the scenic views and amazing wonders of nature. You can start having fun in a very modern and convenient environment. It is the best campsite where children can play and parents can have a relaxing time. Come and create wonderful moments at Mystic KOA in CT because a camping trip experience is their specialty.